What is Chapter 7 Bankruptcy from The Merna Law Group on Youtube. Chapter 7 is the chapter of the Bankruptcy Code that provides for “liquidation” or elimination of unsecured debt. We all know it as a debt relief process instead of a legal code section. For most people this is credit card debt, personal loans, medical bills, payday loans, and other credit that is not secured by property. Often eliminating debt in Chapter 7 bankruptcy can free up the money a person needs to afford to pay the secured debt they want to keep like vehicles or houses. The risks in Chapter 7 bankruptcy is that the person might not qualify, might lose property, or might be challenged by a creditor or the bankruptcy trustee. 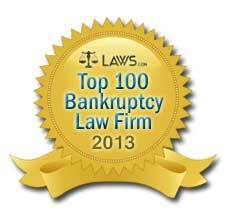 Talk to an experienced Chapter 7 bankruptcy attorney today. Is Chapter 7 Bankruptcy right for you? Complete this FREE Evaluation and find out!